Royal Caribbean's Oasis of the Seas is as impressive as she is large and when you have a ship this big, it's easy to miss something. 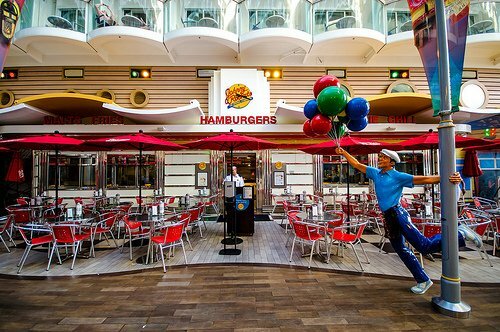 We present our list of the best hidden secrets that can be easily overlooked on Oasis of the Seas. Oasis of the Seas has two viewing spots on Deck 14 that gives guests access to being able to see the ocean and get a great view of the ship herself. This is a terrific spot for sailaways or for when Oasis of the Seas is arriving in port. To get to the wing viewing areas, go all the way forward in the deck 14 on the port side. Once you arrive at the end of the corridor, there will be a glass door on the left. If you are looking for a bite to eat somewhere a little less hectic than the Windjammer, try the Park Cafe in Central Park on Deck 8. Not only is it less busy, but they have some really great choices! Park Cafe's Make your own salad allows guests to select your own salads made in front of you and a huge variety of fresh sandwiches. 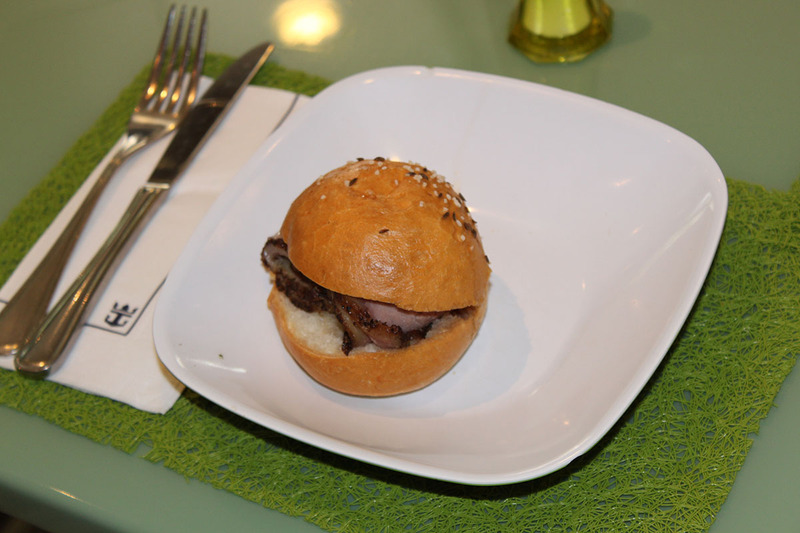 Park Cafe is also home to these small, but amazing, roast beef sandwiches. These little bad boys are quite tasty and it (and the salads) are complimentary! Royal Caribbean provides an all access tour of Oasis of the Seas that is on the pricey side, but guests that have taken the tour have raved about the impressive look this tour provides. The tour provides a look at parts of the ship that off limits, such as the ship's bridge, the "I-95" corridor and engine room. When there is a special event happening on the Royal Promenade, such as a parade or perhaps one of those evening parties, try to get a table at Sorrento's Pizza. Tables in this area will give you a good view right in the middle of the parade route, as well as a great view of the disco bridge that is rolled out during the show. 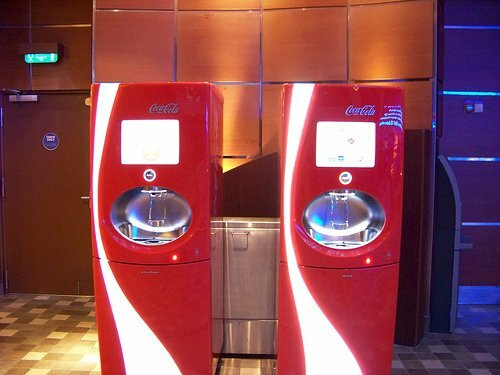 If you purchase one of the unlimited drink packages, you will get a souvenir Coca-Cola cup that you can use with the impressive Coca-Cola Freestyle machines. There are machines around the ship, but usually there is just one machine per location. If you want the best spot to use the machines, head to the Royal Promenade and look for the machines next to Sorrento's Pizza. There are two machines there, which means there is double the usual capacity for just one location and that means shorter lines! Everyone knows Johnny Rockets offers some amazing burgers and milk shakes for lunch, dinner and late night but did you also know that Johnny Rockets is open for breakfast? And it's free! Usually, Johnny Rockets is open from 7:30am to 9:30am, and it is a great spot to grab breakfast that will not be as crowded as the Windjammer or even the main dining room. You will have a choice of scrambled eggs, omelettes, pancakes, French Toast and more. Plus, you get a nice morning walk on the Boardwalk to go along with those eggs! Thanks to blog reader markinct for this tip! 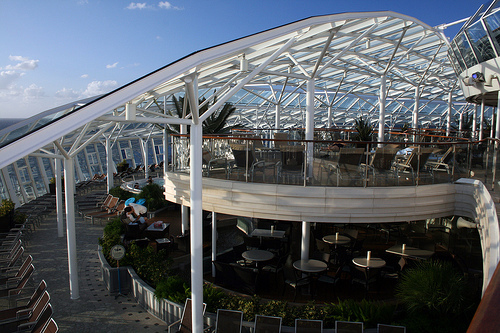 When you board Oasis of the Seas on your first day and want somewhere a less crowded for lunch, try the Solarium Cafe. Located on Deck 15 forward, the Solarium Cafe does not get nearly as crowded as the Windjammer and if you are boarding in the afternoon when everyone wants to grab lunch, try the Solarium Cafe as a good alternative. The Solarium Cafe also has some beautiful views of the Solarium pool and the ocean too. Thanks to blog reader Huntley for this tip! Looking for somewhere that is shaded and is quiet and a great spot to sit and relax? 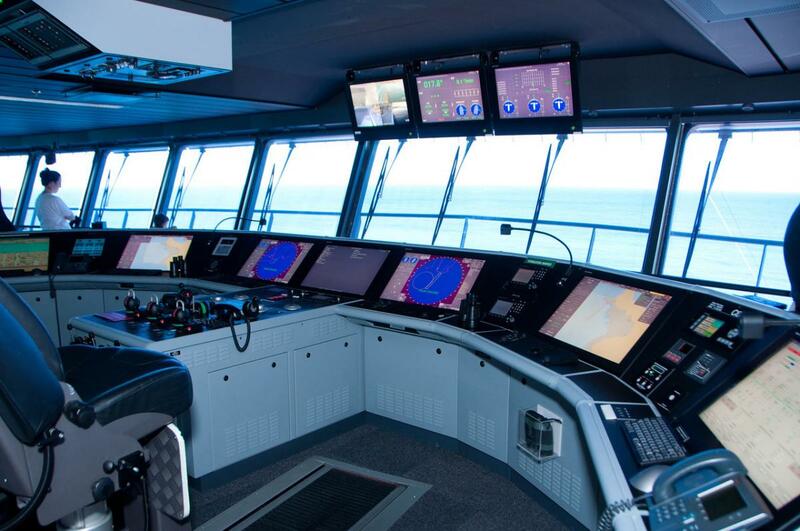 Head to deck 5 and go all the way to the aft of the ship. You will find chairs that have a great view of the ocean and are usually devoid of other passengers. 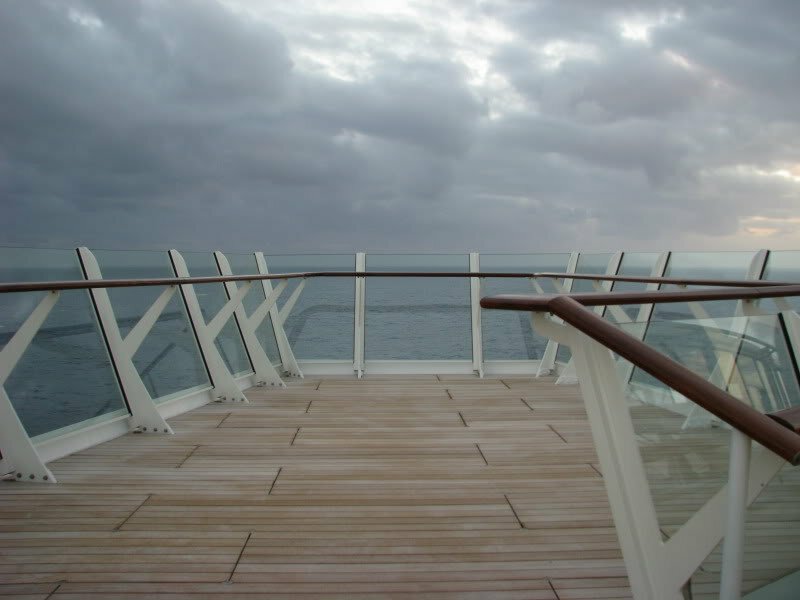 Part of any succesful Royal Caribbean cruise is having plenty of time to just sit back and relax. 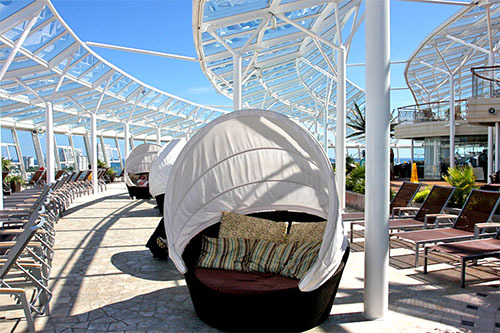 On Oasis of the Seas, one of the best spots to park yourself and forget your worries has to be the wicker couches in the Solarium. There is something about these extremely comfortable couches that can easily accomodate two guests that makes for the perfect spot to watch the ocean, read a book or pull the canopy over you and take a nap. 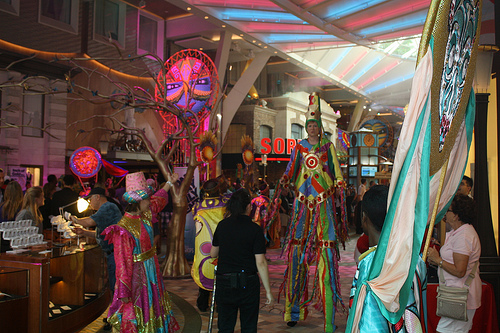 Hidden all over Oasis of the Seas is a series of art displays known as "Small Wonders", where you will find 42 natural wonders positioned all over the ship. When you find one, there will be something that looks like a periscope or telescope that if you peer into, you will find these tiny three dimensional pieces of art. This is a fun activity for kids or adults to try to find them all and it is one of those hidden gems many guests simply overlook. Hint: if you give up and cannot find them all, Guest Services can provide you with a list of them all to help! 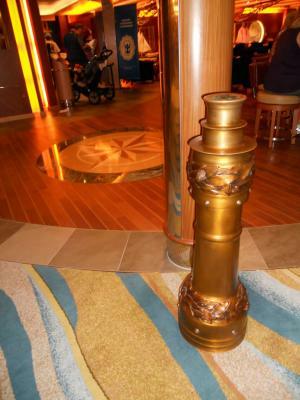 Did we miss any Oasis of the Seas secrets? Share them in our comments!